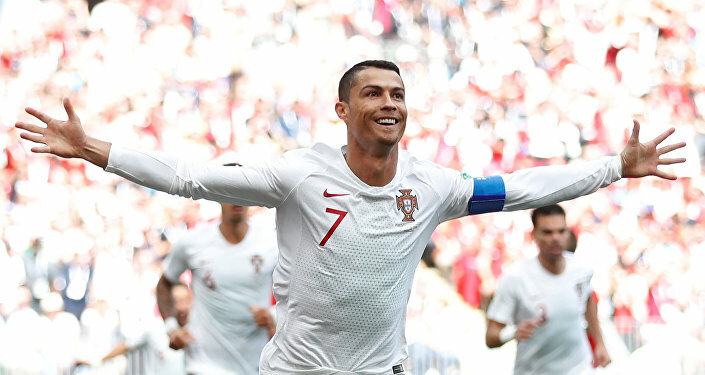 While Juventus might be rubbing its hands with glee as it reportedly prepares to welcome Cristiano Ronaldo to the club, some are annoyed by the Portuguese star’s transfer – namely workers at the car manufacturing giant Fiat. Since Juventus is allegedly willing to spend some 220 million euros on Ronaldo’s transfer, Italian outlet Sport Mediaset has reported that the automaker has offered to subsidize part of the player’s wage through a sponsorship deal. The football club cannot afford to pay such a huge sum without falling foul of UEFA’s financial fair play rules. The automaker is said to own 29.18 percent of the Agnelli family’s businesses [Andrea Agnelli, Juventus’ president, is a board member of Fiat and Exor] via investment company Exor N.V. – which, in turn, owns 63.77 percent in Juventus. Upon hearing the media reports, workers at the Fiat car-manufacturing plant expressed their fury with the envisaged expenditure. “After Higuain [Gonzalo], now Cristiano Ronaldo is coming? It’s embarrassing. The workers at Fiat haven’t had a wage increase in ten years. With Cristiano’s wages, you could give every worker a €200 pay rise. In these ten years we’ve lost 10.7% due to inflation that we’ve never gotten back. And now Fiat Chrysler Automobiles, FCA, is spending €126 million annually in sponsorship, €26.5 million of which is for Juventus,” the workers complain. On June 2, Spanish newspaper Marca reported that Ronaldo had told his teammates of his willingness to leave Real Madrid, which he joined in 2009. Later some media outlets suggested that Paris Saint-Germain FC wanted to pay 150 million euros to sign the Portuguese player, while Sky Sport 24 cited former Real and England manager Fabio Capello as saying that Ronaldo wanted to return to Manchester United.